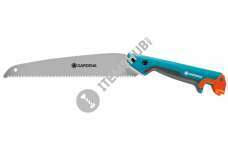 The gardena combisystem bow saw can be used either as a normal hand saw or extended in combination with combisystem handles. Work in up to approx. 5 meters height can be easily performed. 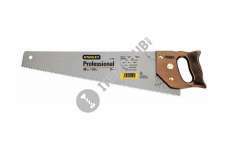 The saw blad.. 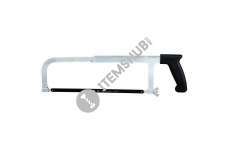 The GARDENA combisystem Gardeners´ Saw with a saw blade length of 300 mm can be used flexibly depending on where you want to saw: if you wish to cut easily accessible branches, you can simply use the .. The GARDENA combisystem Gardeners´ Saw, curved, with a saw blade length of 300 mm, is flexible in use depending on where you want to saw: if you want to cut easily accessible branches, use the Gardene..
A spring-loaded pin allows the blade to be reversed to cut from left or right position. The steel back prevents bending for strong, true, straight cuts. 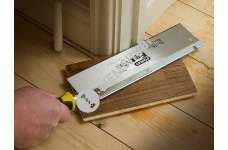 A wide blade enables precise cutting such as do..
With a flexible blade for cutting plugs or dowels flush, the STANLEY 4-3/4-Inch 23-Points-Per-Inch Flush Cut Pull Saw cuts quickly and cleanly on the pull stroke. The saw also features a double-sided .. 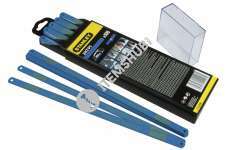 These Stanley Bi-Metal Hacksaw blades are supplied in a pack of 100 blades.The bi-metal steel blades are manufactured from carbon steel for flexibility and high speed steel for cutting special steels ..
A hacksaw is a fine-tooth saw with a blade under tension in a frame, used for cutting materials such as metal. 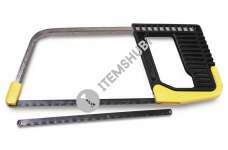 Handheld hacksaws consist of a metal frame with a handle, and pins for attaching a narrow.. INDUCTION HARDENED TEETH STAY SHARPER TWICE AS LONGBI-MATERIAL HANDLE SCREWED AND ULTRASONICALLY WELDED FOR COMFORT AND SECURITY450MM – 7 TEETH/INCH.. 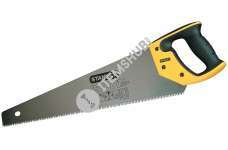 The STANLEY 12-Inch High Tension Hacksaw features a rugged design for heavy-duty use. 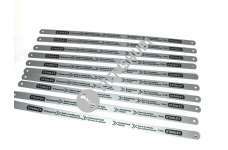 The quick-release, blade changing mechanism in the handle maintains the tension setting, and an easy to access ten..
Teeth specifically the problem of fast cuttingHandle includes 45 ° and 90 ° square450 Mlm- 8 teeth / inch.. 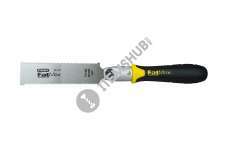 This hacksaw from Stanley is an ideal tool to have in your workshop while working with various low-strength metals. The blade comes with serrated teeth to help you cut with speed and precision. 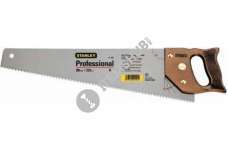 The wo..
Stanley Jet Cut Fine finish saw is ideal for fast flow cut on wood and derived : skirting, plywood, melamines, PVCInduction hardened teeth stay sharper twice as long3 sided precision ground teeth offe..